The Electromagnetic spectrum is the principal energy source which provides both heat and light. All bodies, including glass, emit and absorb energy in the form of electromagnetic waves. The image on the left hand side represents the spectral graph of solar energy. The surface of the sun emits electromagnetic waves. 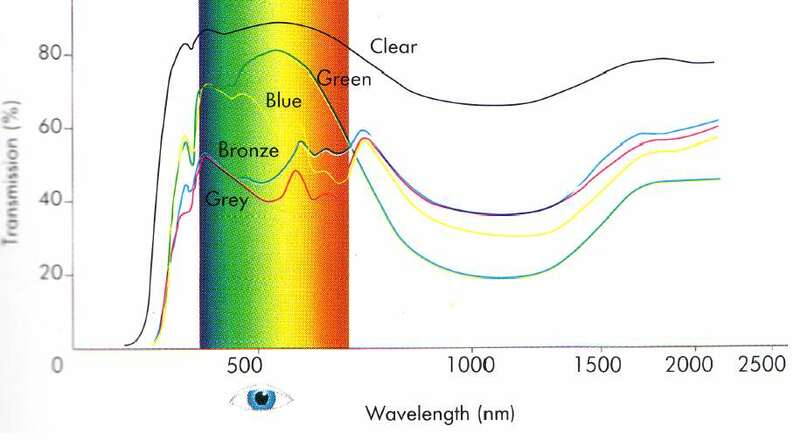 A narrow band between 380 nm and 780 nm of the solar spectrum is received at the earth's surface and is visible to the eye. This is between the Ultraviolet and Infrared range. 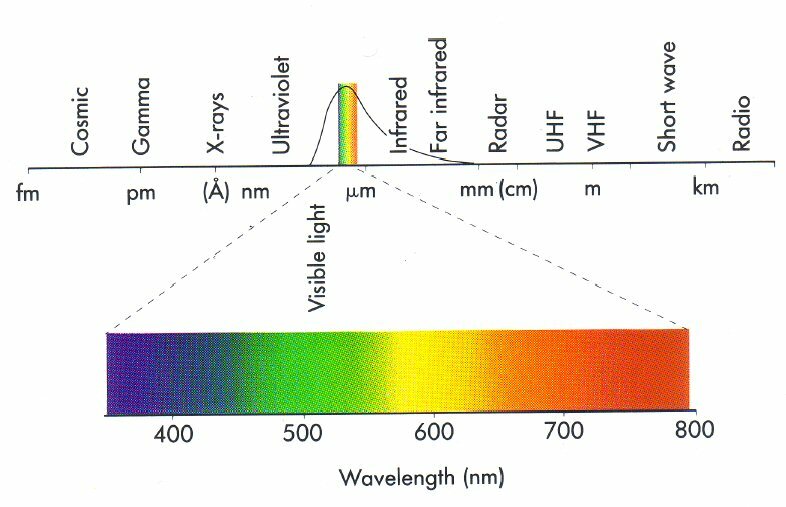 The spectrum below 380 nm (ultraviolet) and beyond is invisible. 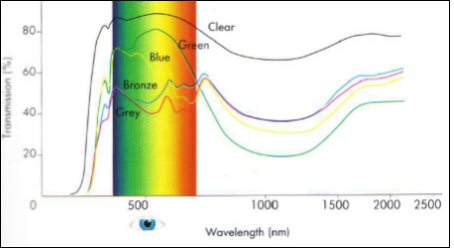 The combined wavelengths of the visible spectrum give a white colour, whilst each individual wavelength has an associated colour. The image on the right hand side represents the Electromagnetic Spectrum. 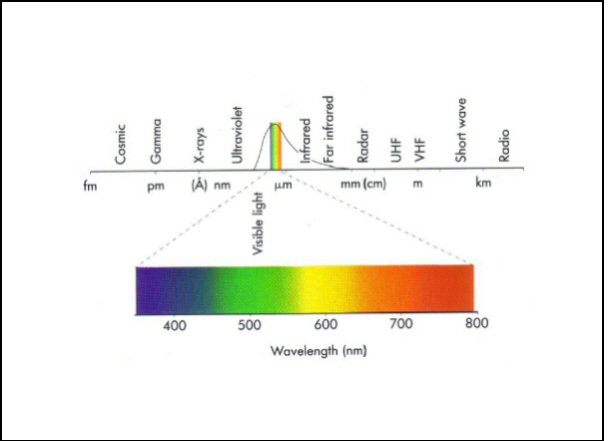 The narrow coloured band represents daylight or visible light with wavelengths from 380 nm to 780 nm. The principle area of importance for glass is the range between Ultraviolet and Infrared rays representing daylight or visible light.